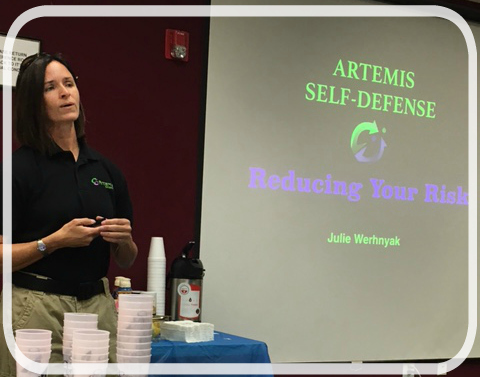 Julie Werhnyak, of Artemis Self Defense, shared her wealth of knowledge from her experience as a former police officer and instructor, Federal Air Marshal self-defense instructor and two-time member of the U.S. National Tai-Kwon-Do team among many other accomplishments (see her full bio here http://www.artemis4women.com/about-julie/). 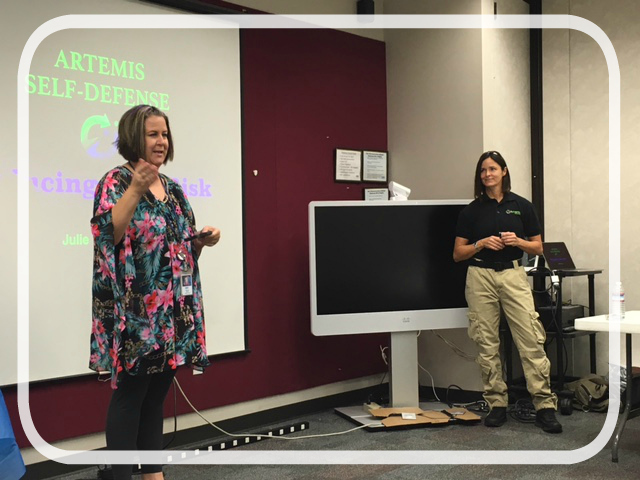 Julie feels that her purpose in life is to help others to be safe and be able to protect themselves and she does this through the Artemis Self Defense training that she started. Julie began the session by having audience members take turns telling about experiences in their life where they may have felt uncomfortable or unsafe. She then shared a few “saving” techniques and discussed various ways of reducing your risk. Dustin Ewert, one of our WICT members, graciously agreed to be our Guinea Pig and allowed Julie to demonstrate some of her simple self-defense techniques on him. Pepper spray works, carry it! If someone is questioning your “NO” response, you need to wonder, “Why are they trying to control me?” NO is a complete sentence! Be aware of how you present yourself in the world and try to make yourself appear “big”. 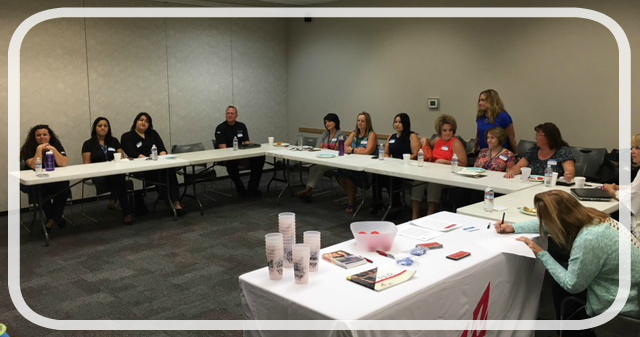 WICT members and guests attend the June Coffee Talk self-defense seminar. 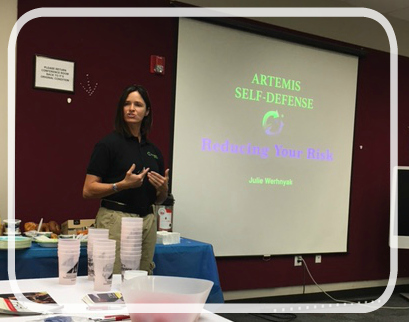 Julie presenting self-defense experience and tips to WICT Southwest Chapter​.